It’s been 83 years since Utah gave the rest of the nation a gift that The Legal Genealogist so appreciates at this time of year. December is always a tough month, what with all the running around for the holidays and end-of-the-year work projects. My major project for the portfolio is, finally, writing up a proof argument about my second great grandfather — George Washington Cottrell1 — and the evidence that ties the family man of Parker County, Texas, to the scoundrel of Colorado County. From a genealogist’s standpoint, the 18th amendment was a marvel. An absolute explosion of criminal cases flooded the courts, 1500 new enforcement agents were hired by the federal government, and records were created everywhere. In my own family, I’ve found prison records of at least four cousins in Alabama for bootlegging5 and I’m sure I haven’t even scratched the surface. Note: This post is a reprise of an earlier thank you to Utah published in 2012. 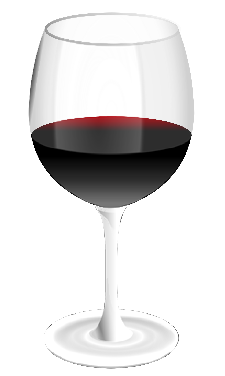 Image: Red wine glass by GMcGlinn, OpenClipArt. I wonder what percentage of people come from families were alcohol has caused a lot of drama and trauma? I preferred to know that I’m dealing with someone that is not just being temporarily nice because they have a little buzz on or someone that becomes unpredictable and thinks that they are safe to drive. Genealogy offers the table of contents.. Perhaps by learning from the people of the past and the present, we can help people to be well, socialize well and include music dancing and laughter without being under the influence. Since just two drinks increases the odds of having an unplanned sexual encounter or other decisions that have lifelong consequences, we can actually improve our present and our future by studying the past and best practices for healthy relationships and dealing with people and situations that make us ill at ease before that turns into chronic diseases that cost us all. Money doesn’t buy back what we lose. Walking away from records that exist — even if they exist for reasons we disapprove of — is not good genealogical practice. We can disapprove of our ancestors’ actions, from the smugness of our hopefully-healthy choices today, but that doesn’t change their actions or behavior, nor does it change the utility of the records they left based on their choices in their lifetimes. What a violent time in American history. My grandpa told me stories about bootleggers around Walnut Springs TX. One federal officer come upon this fellows still outside Glen Rose. Shot the federal man, fed him to his hogs. Bosque county was dry when I grew up there. When out hunting, ran across about 50 cases of beer. Grandpa told me do not go near there again. This was 1955.